If you decide to replace your old bathroom fixtures with the latest ones then there lot of things you should have to consider and you can also expect some problems which may occur while performing the task. Most of them who do not have any experience in this remodelling aspect, will face many problem but for some people it may seem like an easy weekend project as they may found out some innovative way to change the whole look of their bathrooms by adding new fixtures. As it seems to be more simple and small, many home owners scoff at the idea of changing out the fixtures. Even though it provides limited benefit some find that once they had changed their fixtures it will make the entire bathroom look more modern. Its true as simple change of hardware can make an enormous change in the look, for example adding a coat of paint may help to complement the changed plumbing supply parts. 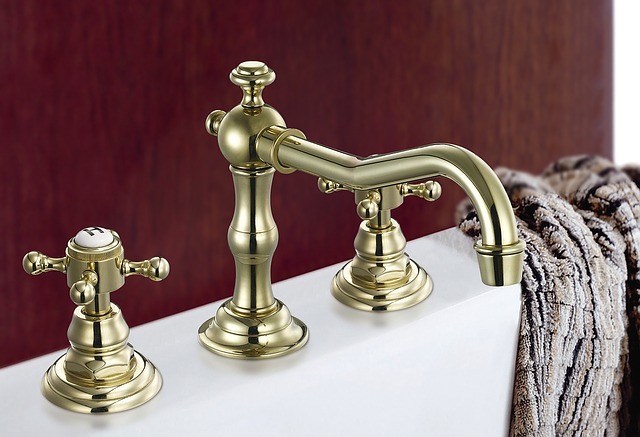 Choosing your plumbing fixtures may be a crucial one as it can alter the entire style of the room. There are various companies having their own showroom with the mock bathroom displaying all the different plumbing supplies so that they can highlight their plumbing accessories to their customers. It is to grab your attention on the actual hardware than being dazzled by the overall appearance of the space. While purchasing don’t forget to take the measurements of your bathroom so that you don’t make a wrong choice and can go with the accessories which will look good in your particular space. You also have to consider many other things such as finish, function and installation method. Installation may varies according to the type of plumbing fixtures you are about to replace. If it’s a shower head you can unscrew the old one, wrap the base with plumber’s tape and the screw the new one into place. If it is another type of hardware, the process will be more difficult. If you are replacing a faucet, make sure that you are having the correct tools like two pipe wrenches, to carry out actual plumbing, basin wrenches for tightening nuts and other items so that you don’t have to disfigure by the pipe wrench. If you are not sure about the required tools then you can ask at any plumbing showroom. Find someone to do the job if you are not ready with the required tools. Soldering any part of the faucet should be carried out by the professional so do not forget to call the one if it is required. Installation of sink faucets will be a simple job and it can be done by coating the holes in the current vanity with plumber’s putty drop the new faucet into place and connect it and it will ready for use immediately. It will give a great impact to your bathroom and to have an extra effect you can try refinishing your vanity or replacing it with a thrift store find. Once you have completed the installations you can be ready to accessorize your newly modernised bathroom. With the plumbing supplies you choose you have to co-ordinate your new accessories to make it more modern and its entire look will be attracted by everyone.